Wine will always have its place and reputation. But as the spread of microbreweries attests (Asheville easily has more than 20), wine is not for everyone. Well, beer only hits the spot for some; others often seek the fruit of wine as well as the oomph of beer. For these people (many of whom are just discovering they are these people), hard cider hits the spot. This growing trend has found its place in the Blue Ridge Mountains. 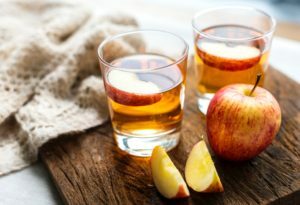 Several cider houses are an easy drive from Wildberry Lodge and could make for a great day trip away from our cozy bed and breakfast should you choose to leave. The cider houses here offer variety—a variety of environments as well as flavors. Choose your cider by the flavors or the atmosphere. Or the entertainment or food. You can enjoy your flights, pints, growlers, glasses, or jars with a warehouse vibe, in a production facility, or in a lounge-like setting. Go for Southern goodies or sweets and snacks. Go for poetry, dancing, or local bands. And return to Wildberry for some downtime before good night’s sleep and a great morning’s breakfast. Urban Orchard Cider Co. has two locations in the city, West and South Slope. Their exotic blends include coffee, habanero, or pineapple with lavender aromatics. They have a food menu to make more testing easier. Also, check their calendar of events for musical guests, dance parties, and food spectaculars. They really want you to stay awhile and enjoy the vibe. Noble Hard Cider is Asheville’s first hard cider company. It offers a full range of Traditional and New American ciders and meads. So is Figgy Pudding, Spiced fig cider with brandy, traditional or New American? Bold Rock Hard Cider in Mills River offers award-winning ciders in several fruity flavors. Enjoy a tour and see the production floor and bottling line. Add a side of barbecue and other southern fixins from the Bold food truck to your cider-savoring experience. Black Mountain Ciderworks + Meadery: Here they believe “cider needn’t taste like artificially-flavored apple candy. … Real cider is a pure, yet complex and palatable delight.” Additionally, they are experts on mead. Mead is wine fermented from honey, sometimes with additions of fruit and herbs. You’ll find a good variety of both here. This is one of the few places in the area likely to celebrate with great joy and revelry World Mead Day in August. Treerock Social Cider House, in Upper Biltmore Village, is a taproom offering local and global ciders and meads with ambiance both indoors and outdoors. 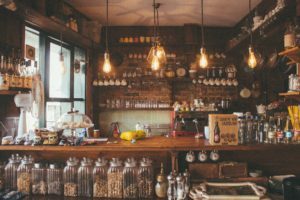 This entry was posted in Food and Drink, PUBS and tagged apples, beer, Blue Ridge Mountains, brewery, cider, entertainment, hard cider, mead, taproom, wine by acorn. Bookmark the permalink.